In mid-November 2010 I was in the Orlando International Airport waiting for my flight to Costa Rica. Just before boarding I bid farewell to my iPhone’s trusty 3G connection with a final swoop through my RSS reader so that my flight time might be passed reading the news. The top story on every news service: Nicaragua Invades Costa Rica! Of course the headlines were a bit overblown; in fact Nicaragua had made a move a few kilometers across the northeastern border in an apparent water rights feud for a muddy little creek. The story seemed distant and small at the time; within seven days I would be neck deep in it. Some context: For three years I have been closely involved with FishingNosara, a charter fishing organization near Nosara, Costa Rica. The quality of fishing in this area is truly amazing due to the closeness of the underwater ledge and the light human impact on the fishery. While the rest of the world struggles with overfishing, pollution and other 21st century problems, the Playa Garza-based Captains are still catching great fish less than ten miles from shore. November 22 was another day in paradise for me. I woke up early, had a hot breakfast for like a dollar, and headed down to Playa Garza for a day of fishing on my boat, the Wanderer. On board were myself, four clients from Florida, the captain and the two mates. We trolled around early in the day and didn’t have much luck, so Captain William pointed the Wanderer offshore about 30 miles. I was in the cabin preparing some lures when I heard a shout from the deck. It looked like a frigate at first (being from Jacksonville, FL I see my fair share of naval vessels) but then I noticed two important details: 1.) It had what appeared to be the nets they use to catch field goal attempts at football games, and 2.) It was not alone. Trailing from the rear of the 189 foot trawler were six smaller boats strung out on a cable like ants on a log. One by one they detached and made large ellipses around the central vessel. On the deck of the large craft was a bright yellow helicopter. This is a purse seine, also called a circle net boat. You know that small green screen-basket that comes with aquariums so you can grab your goldfish? Imagine that but a few miles wide and 100 feet deep. This commercial fishing is the equivalent of strip mining; in addition to catching their main target (Yellowfin Tuna) they also strip that whole expanse of ocean of everything bigger than plankton. The effect on the ecosystem is disastrous from this kind of fishing because it completely circumvents evolution by not allowing any quarter for the smartest/strongest/fastest of the population to survive and reproduce. Because of this, international law restricts these fishing vessels to waters 100 miles off shore to limit their impact on the territorial fisheries of places like Costa Rica. Drop Bombs on the Dolphins from the Helicopter. I don’t care who you are, that is just plain messed up. 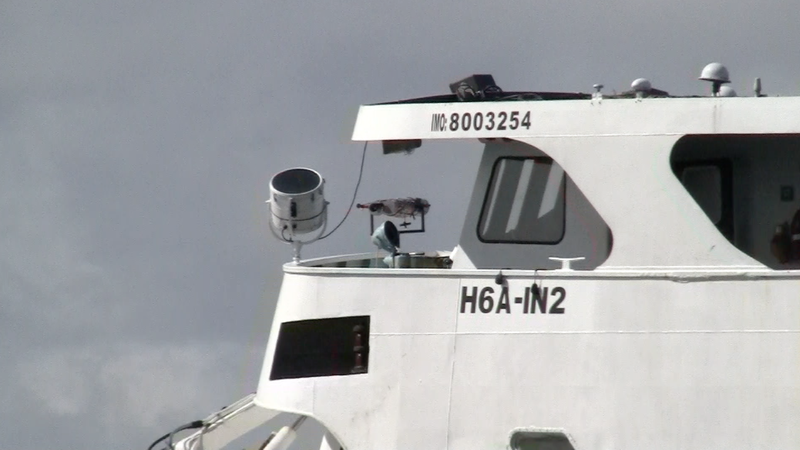 It does work though, because as I pulled back the zoom on my camera from the purse seine I noticed that a stampede of dolphins were evading that boat with all possible haste. “I betcha that’s the same boat that attacked that charter boat back in August,” offered one of the clients. 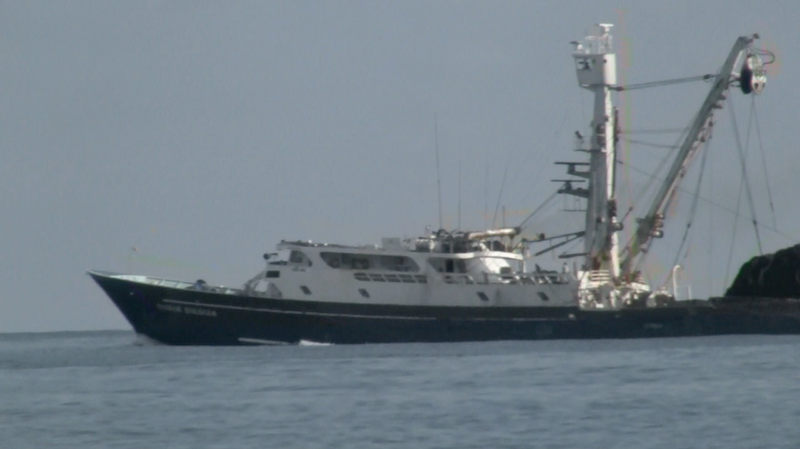 We’d read an article where another sport-fishing vessel from Garza had run across an operation like this and was subsequently bombed, rammed, nearly scuttled, and whilst limping back to port was subjected to taunting and jeers from the purse seine crew about their “victory” over the sport-fishing boat. Funny thing with helicopters is that you can feel them take off before you hear them, and this holds true even over the loud noise of the sea. The yellow chopper lifted off quickly and was over us in a flash. It made several long, low sweeps of the area…I pointed my camera up the whole time even if I couldn’t keep the bumblebee in frame. If he wanted to sink us I at least wanted to have it on record. By the way, SD memory cards are waterproof. For whatever reason the helicopter left us alone and returned to the Maria Eulogia. In less than a half hour the fast-moving net boats were also stowed and the vessel was out like a thief in the night with it’s illegal haul. Back on shore the town was buzzing over the news of the Maria Eulogia. A news crew came all the way from San Jose and interviewed me for an exclusive story that night. It was beamed across the SKY Network to most of Central America and throughout the Spanish-speaking world. I felt a naive sense of accomplishment in the knowledge that people in Costa Rica really care about their environment and are passionate about the fishery. Turns out the interest was more nationalistic than I first realized. After a shower and a drink I was just about to nod off to sleep when a pounding came to my front door. Daniel, who had helped me upload the video to Youtube and contact the wire services, was visibly excited with news. He bounded into the foyer of Casa Capitan. I didn’t know what to say but fortunately Daniel had already made a plan. and that good night’s sleeps might be very scarce in my future.